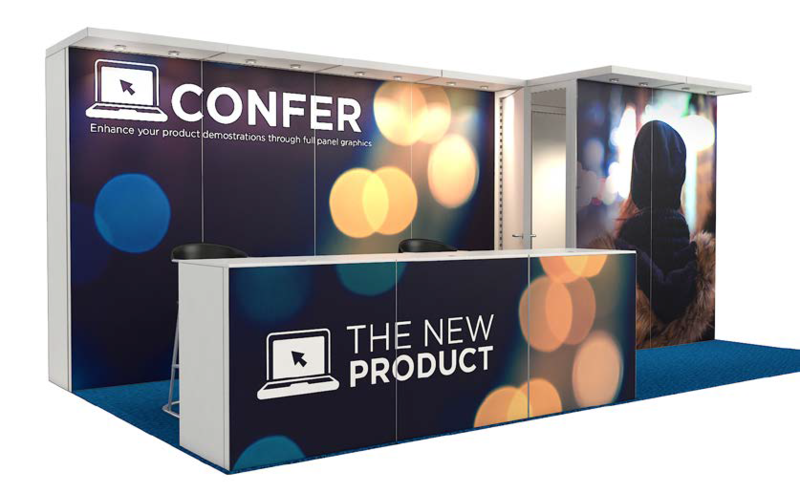 It’s a larger version of the front counter-dominant booth, and perfect for direct demos by your staff. You’ll have virtually seamless graphic space on the front counter and back walls. Build a hierarchy for as many as 9 key messages, or choose a few high-impact images that capture the essence of your brand. The storage closet is a valuable addition.